Southern California is under a major heat wave right now with temperatures reaching well into the hundreds which absolutely isn’t normal. Whether you live on the California coast, the deserts of Arizona or plant your boots in Texas, it is important that you take steps to make sure your horses stay cool. Babies and older horses seem to have the hardest time regulating heat but it can be a concern for all ages. There are some easy steps all horse owners can take to help their hooved love ones to cope with hot summer days. Make sure your horses have water and plenty of it. Cool water is best. 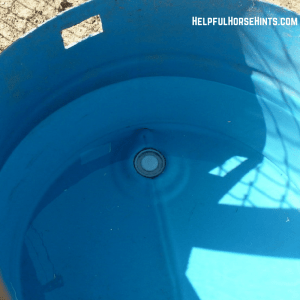 While automatic waterers are certainly a convenience at most stables, during the hottest part of the year you may want to consider supplemental watering via buckets. The bigger bucket the better in fact. How many horses are on the system. More horses the better, water keeps flowing which helps the water stay cooler. Fewer horses equals less water movement allowing the water to have longer time in the pipes getting hot. Pipe Location. Underground water pipes won’t get as hot as ones exposed to the sun. The deeper the pipes are buried underground, the better chance they have of staying cool. Material. Metal waterers, especially those in the sun, are going to have a tendency to heat up and retain that heat more so than plastic waterers. They are more durable, sure, but they can get hot. Ease of Use. The benefits of automatic waterers is just that, they are automatic. The horse drinks, they refill. It really is a time saver. Even having just five or six horses and it can save a lot of labor. As with any type of water provided to livestock, it should be checked daily. 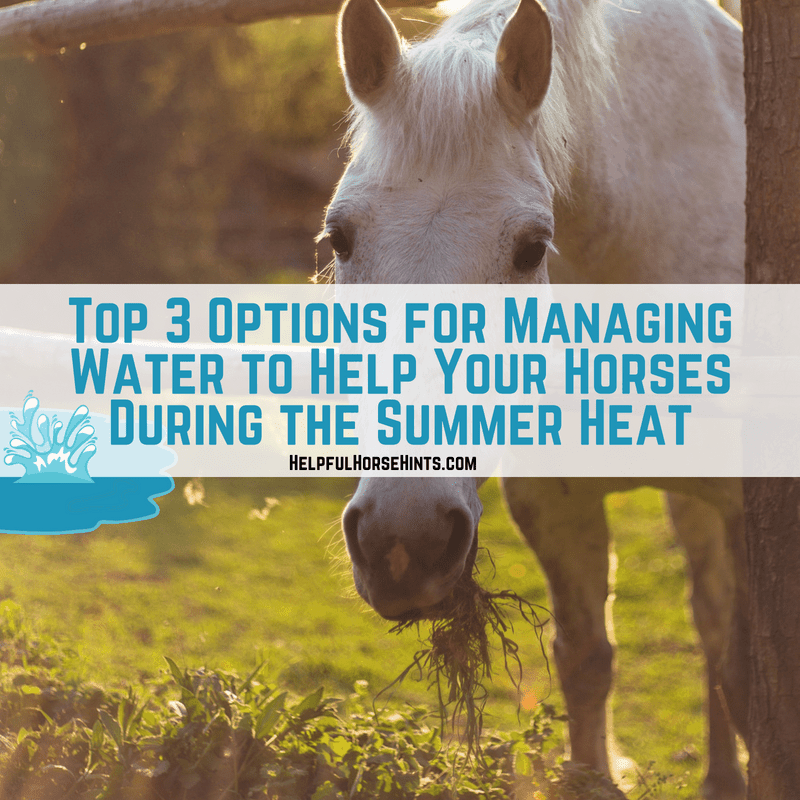 In fact, especially during heat waves, each horse’s waterer should be checked at least every feeding if they don’t have supplemental water available. To really check an automatic waterer, you must use your hand to take water out so the float engages and proves the system is working. Can be easy to clean. Smaller bowls are easier to keep clean…the larger you get the more of a pain it becomes. Pipes can break or freeze causing problems. Be sure to have ample shut off valves. I personally would have one per waterer on the next system I install plus one for each branch of stalls. Bowls can be hard to clean. The deeper waterers I prefer are actually more of a pain to clean because you have to pull a plug at the bottom and let them drain out into the stall. During the summer, in dirt stalls, that isn’t so bad at all. During the winter or if you have shavings its much more of a pain to either let your stalls get all wet OR lug a second bucket to and fro to put under the waterers when cleaning them. Buckets are my favorite. My preference is for the blue 50-gallon food grade drums cut in half. They are durable and can usually be found pretty darn inexpensively. They come in other colors too. Your local hay store may carry them but don’t neglect to check your local craigslist for them as well. If you can’t find this type of water bucket locally, rubber options are more expensive but just as good. In fact, these smaller flat back buckets make a great supplemental water source for horses who only have access to automatic waterers. If your horse is a clown, they even make holders to help stabilize them. Large Volume = Less Chance of Failure. With a small volume automatic waterer, if the float mechanism fails in the morning, your horse could potentially go hours without water. 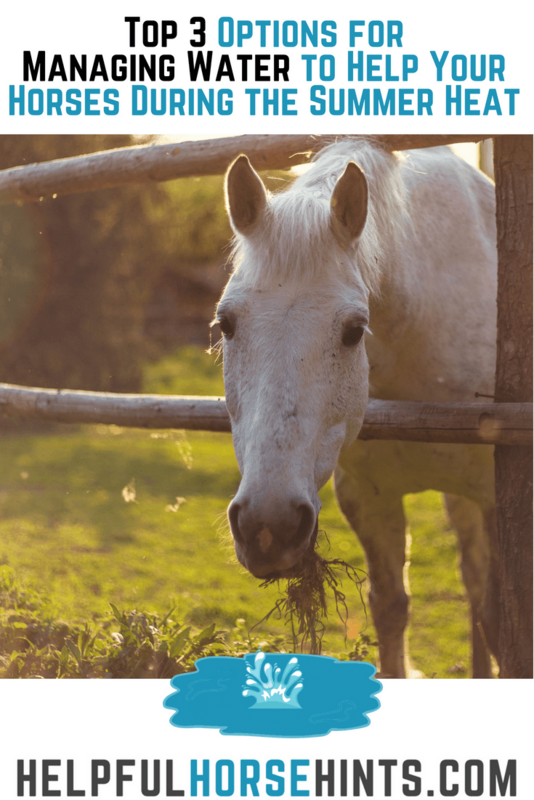 While this isn’t likely to happen often..and may never happen to you, one vet bill for a dehydration colic will have you wishing you had given your horse at least one other water option. Easier to Clean. The flat back buckets are kind of convenient because you can choose where to empty them. You can take them out of the stall / away from the barn during the winter to keep things from getting muddy. Stays Cooler. Larger volumes of water will stay cooler. This will encourage your horse to drink more and stay hydrated during the summer. Harder to Clean. OK wait, I know we said they were easier to clean above but…if you have the big 25 gallon waterers (50 gallon barrel cut in half), they are generally too heavy to lift and dumping them in a stall creates a big puddle. Good during the summer, not good during the winter. Playful Horses. Large or small, some horses are just water babies. They LOVE LOVE LOVE to play in the water. Whether it’s a small bucket they can dip their nose in and slosh around or a larger bucket they can use to literally “get their feet wet, some horses see water as more of a toy than anything else! Hot Dogs. Once your dogs figure out the awesome dog pool you have installed in each stall..it will be hard to keep them out of them! Leaving the Hose on. The bigger the bucket, the longer it takes to fill it. You’re more apt to drop the hose in the bucket, walk off to fix something, forget all about the hose being on and then wake up in the morning to a flood…been there…done that. Stock tanks are an ideal solution for the heat when you are able to stable horses in groups. Generally these are too big for individual pens but work out well to group water horses. The size you get might depend on how many horses you have. Just remember, no matter how big your waterer, you MUST check it at least daily. Large Volume = Less Chance of Failure. Just as we mentioned above, but now with more volume which equals much less chance that your horse or horses are going to drain the tank. Just make sure to know your animals and keep an eye on how much they drink so you can decide when its prudent to add more water troughs to an area. Harder to Clean. The bigger the trough, the harder it is to clean. Most large troughs are going to have a drain hole which makes emptying them convenient. They can be harder to reach into to scrub down and remove algae. Make sure your horses have water at all times. Consider a secondary source of water. During the summer, we think it just makes sense to consider a secondary water source for all of your livestock if automatic waterers are usually their only supply. Keep it clean. Would you want to drink out of an algae laden bucket? I doubt it and neither does your horse.